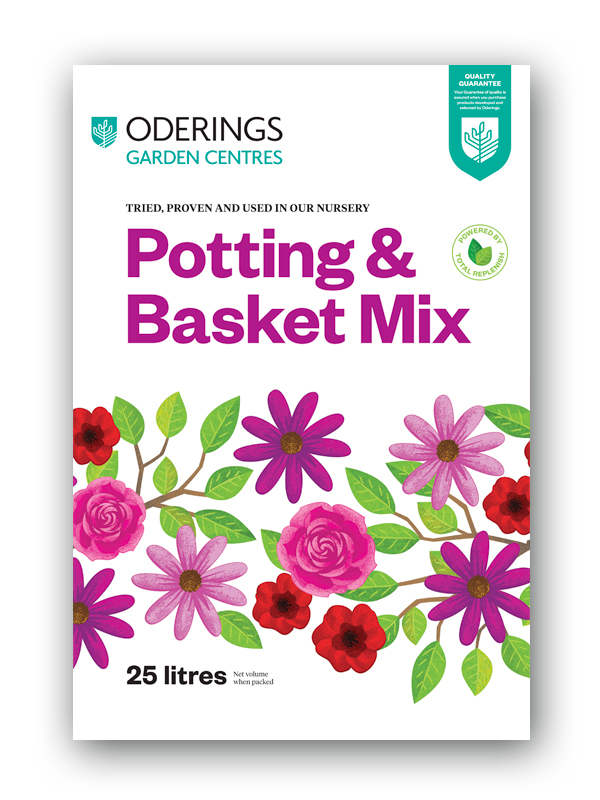 Oderings Potting & Basket Mix is a comprehensive high quality mix suitable for indoor or outdoor use that promotes good health and vigour in your plants. Containing a balanced combination of ingredients that include; a blend of fine bark and peat, a wetting agent for even rehydration, and Total Replenish controlled release fertiliser, this is a careful blend of both quick release and long term release fertiliser, with essential trace elements. Oderings Potting & Basket Mix is PH adjusted to suit most plant types. 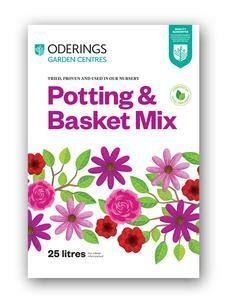 Oderings Potting & Basket Mix is ideal for house plants, bulbs, flower plants, herbs, and perennials. Suitable for use in all planting situations, patio containers, baskets, bowls and raised garden beds.